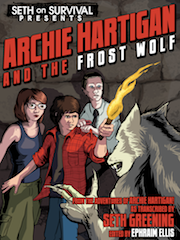 Louis Pine thought he might be a genetic werewolf and went on a quest to find out the truth. Thanks to Seth G. at sethonsurvival.com for telling us about Louis and his videos. This entry was posted in Werewolf Video and tagged Full Moon, Louis Pine, Lycanthropy, Transformation, Videos, Werewolf, Werewolves by Rip. Bookmark the permalink. This was a charming and well-made series–I hope you’ll make a sequel, especially since you ended on such a cliffhanger. Hi WW. Thanks for checking out the site. I understand there may be a search party developing for Louis as we speak. We’ll keep you posted when there’s more news. 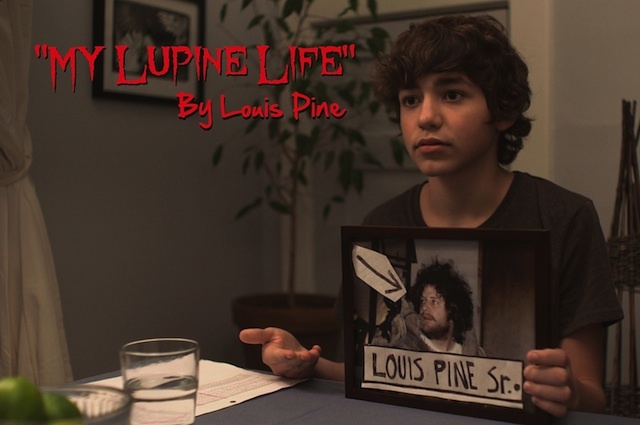 Meanwhile, check out the Lupine Life app, out on Halloween 2012. I bet you I can bore anyone on this site to death in half a second. The sequel is in 3 ebooks you can download for 3.99 in iBooks! Anyone here to help me with my symptoms. omg LOUI UR SO AWESOME I TRUELY BELIEVE UR A WEREWOLF I mean like I wish I was one but I open my window and always sleep under the full moon light but never worked for me I wish I had a friend to scan me as one but maybe my age. maybe when I get older I might be one my grandpa was one I never thought it but he was. I watch ur videos all the time and I love it! The dragon moon is real once the dragon moon known as the new moon always go to a forest or something where u might cant escape and don’t hurt ppl. then make sure u have a buddy u can trust to help u if u change during the day by anger or something grab a trust worthy friend to grab wolfsbane to make u smell it and it could make u stay human but not at night. 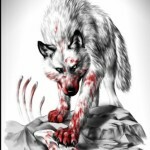 You can do everything as a were just becarefull behind ur back u never know who might know what u r and could kill you. Well not a lot of werewolves transform every night. And plus: What did his uncle gave him?! That looked discusting! When I saw the episode, I was grossed out when is uncle gave him it!  I was wondering what that was! Maybe he should throw it away! I hate when this thing does that!